AG will probably kill me if he reads this, so please don’t tell him, but I once wrote something along the lines: “if you want to drink mature Champagne then you might as well pour a prematurely oxidized Meursault into a Sodastream.” Sure, I was being facetious, but I guess it is this kind of sentiment that means I have never covered Champagne in any official capacity. The intellectual part of Champagne never really gets my pulse racing. Those bubbles get in the way, and the marketing schmooze just leaves me cold. 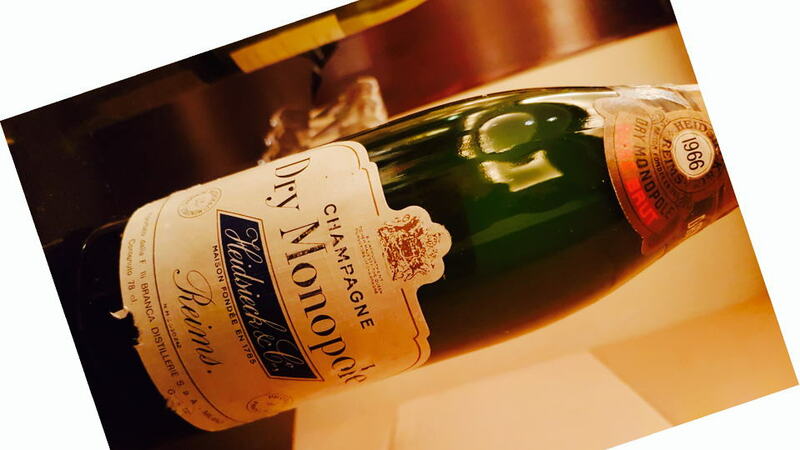 I have had more than my fair share of old Champagne however, they often leave me with a desire to drink something young, cheap and razor-sharp instead of something that tastes like a prematurely oxidized Meur...no, better not. Seriously, every now and then I encounter a bottle that demonstrates the stupidity of my apathy towards Champagne.